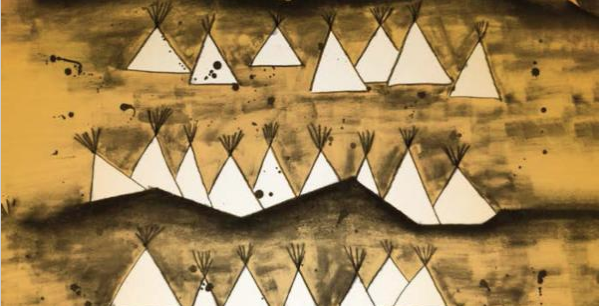 For our second installment, we feature and discuss Jaskiran Dhillon’s recently published ethnography: Prairie Rising: Indigenous Youth, Decolonization, and the Politics of Intervention. The discussion includes reflections by Melanie Yazzie, Shanya Cordis, and Sandra Harvey. While our contributors address the book as a whole, we begin with an excerpt that draws from the introduction and the book’s first chapter. Jaskiran Dhillon’s Prairie Rising: Indigenous Youth, Decolonization, and the Politics of Intervention provides a poignant ethnographic account of the violent entanglements that indigenous youth navigate in the settler context of Saskatoon, Canada. Dhillon adeptly illustrates how the “ruse of participation” and “inclusion” in Canada’s ostensibly liberal multicultural governance masks its core settler impetus to liquidate indigenous sovereignty, governance, and self-determination. Under and through the guise of policies, law, and recognition — that is, regimes of legality — the Canadian state seemingly addresses indigenous marginalization, even as it reconfigures its governance to sustain colonial relations of power between the state and indigenous peoples. Throughout the text, Dhillon demonstrates how state interventions in the intimate lives of Indigenous youth are indicative of overt attempts to efface indigenous sovereignty and permanently dispossess indigenous peoples of their territories. Situating contemporary settler targeting of indigenous youth within a broader legacy of settler colonial violence and intergenerational trauma, her work is timely with regards to the current US policy of separating undocumented children (many of them indigenous) from their families at the US-Mexico border. From its historical precedents in the separation of enslaved children during chattel slavery and the removal of Native children to boarding schools in Canada and the US, to ongoing Israeli settler violence against Palestinian children (Shalhoub-Kevorkian 2016, Shalhoub-Kevorkian and Ihmoud 2016), the current political crisis must be situated within specific, yet interlocking transnational and imperial settler logics. Dhillon’s analysis also examines how racialization facilitates indigenous dispossession as a settler colonial racial project. Summarizing Sherene Razack, Dhillon argues that “the mark of the racial, then, is always to need assistance into modernity” which casts indigenous peoples as “remnants always living on the edge, on the brink of death; colonial subjects in need of settler state rescue” (Dhillon 2017, 70). Invoking this racialized imaginary of the “savage” Other, current US President Trump addressed the U.S. Naval Academy’s graduating class of 2018 stating, “our ancestors tamed a continent.” What appears to be an offhand statement pointedly reveals how settler discourse reinscribes a temporality that erases settler violence in the present, rewrites the moment of conquest, and veils continuing indigenous dispossession, on and across imposed borders. Further, it rationalizes such violence as a natural progression of weaker (racialized) peoples giving way to industrious (European) subjects who not only birthed the modern nation-state, but also replaced their indigenous predecessors. I would add that this “mark of the racial” situates indigenous bodies within a field of white settler masculinity and self-making, such that surveillance, state coercion, and the attendant, necessary gendered eruptions of violence function not as excesses, but par for the course of the settler state project. Articulated through a Fanonian lens, it also requires greater attention to the marked silence around the particularity, and absenting, of blackness in the Canadian imaginary, as well as the settler violence enacted on black lives in the Canadian context (Maynard 2017). Notably, the violence meted against black and indigenous bodies — children and youth in particular — is not collateral damage. They are direct targets of the state. As Dhillon aptly illustrates, this targeting appears on the contours of the body in specific ways, and in tandem with heteronormative gendered logics. The story of Nitânis marks a powerful case in point. Described as a young Indigenous girl whose life trajectory has been undoubtedly constrained and overdetermined by structural violence and state interventions such as foster care placements (primarily with white families) and group homes, Nitânis was subsequently subjected to numerous sexual violations. Notably, her status as a young indigenous woman is an important, for it is her sovereign capacity and alterity that is read as a threat to settler sovereignty. That is, her gendered body signals disruptive possibilities for the maintenance of settler sovereignty, rendering her vulnerable to state violence with impunity e.g., Simpson 2016. This point in particular has implications for thinking through the place of blackness in relationship to the settler colonial project and the possibilities for crafting livable decolonial futures across difference. In both my Black and Indigenous Social Movements and Introduction to Anthropology courses, I have discussed this text primarily with cis, queer and heterosexual black women. Inevitably, we consider how blackness (specifically black womanhood and girlhood) and black liberation is constitutively imbricated within settler colonialism, yet often falls from the purview of discussions in settler colonial studies (also see King 2013). The parameters and ultimately, the illegibility, of the race-gendered-sexed nexus of black womanhood and girlhood within the settler colonial project — as central, yet invisible — also expose the perceived sovereign incapacity of black women within the settler structure, which renders them vulnerable to gratuitous forms of violence as expendable bodies. I gesture toward incapacity, not in terms of agency, but as fungible flesh imagined to be devoid of sovereign alterity. This is exemplified in the case of thousands of missing black women and girls and the gendered forms of state sanctioned violence to which they are subjected, and corresponds with the settler erasure of thousands of missing and murdered indigenous women and girls in the US/Canada contexts. Neither is coincidental and correlates to the settler desire for land-and-body. Indeed, black and indigenous liberation is intimately bound to one another, and what the contours of coalitional politics and solidarity looks like in practice is dire when we consider the political implications of colonial state-indigenous recognition (Coulthard 2014) and the structurally antagonistic positioning of black peoples in settler societies (Wilderson 2010). As Frantz Fanon has noted, violence may no longer serve as the primary means through which colonial power is exercised. Insidiously, the terrain of recognition (and negotiation) makes the colonized a willing participant in her own dispossession, such that liberation is located within paradigms that stem from her oppressor. Effectively, extending what Dhillon identifies as “new state assemblages” (Dhillon 2017, 9). This raises significant concerns, given the grim material conditions of our communities in the face of ongoing processes of genocide and settlement, and even more so when we consider the political possibilities for black and indigenous peoples when the state has situated itself to be the only legible form of governance and politics in town. Yet, how might the space of illegibility, specifically a site in which black and indigenous women are rendered unknowable in specific and related ways, form the terrain from which disruptive possibilities emerge? This terrain gestures beyond the proscribed sovereign (in)capacity of black and indigenous peoples within the settler order, of what is allowable and conceivable, and stretches toward the divestment of settler and capitalist paradigms of freedom. It fosters political flight and praxes that emphasize refusal and fugitivity wherever possible. Rethinking our relationships to settler statecraft, to land/territories/waters, and to each other necessitates the disruption of cisheteropatriarchal notions of politics as usual. Undoubtedly, current black and indigenous social movements like Black Lives Matter, Idle No More and Standing Rock, and campaigns that highlight gendered violence against black and indigenous women (#SayHerName and #MMIW-MissingMurderedIndigenousWomen), are historically situated, each with their respective limitations and political visions, yet they point toward dying worlds, new horizons, and the space outside of settler unfreedoms. Shanya Cordis is an Assistant Professor of Anthropology at Spelman College with a focus in Native American & Indigenous Studies and African & African Diaspora Studies. Her forthcoming manuscript, ( Un)Settling Dispossession: Gendered Violence, Recognition, and Indigenous Struggles for Land in Guyana, examines the relationship between state-indigenous recognition, gendered violence, and ongoing land dispossession and territorial conflicts in Guyana. She is Black and indigenous Warau and Lokono.